Most of the cerebral functions are asymmetrically represented in the two hemispheres. Moreover, dexterity and coordination of the distal segment of the dominant limbs depend on cortico-motor lateralization. 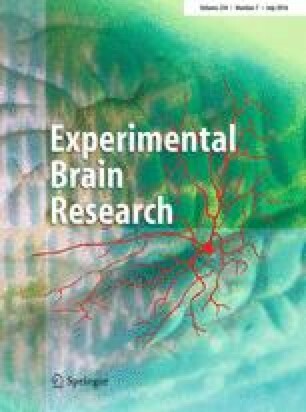 In this study, we investigated whether postural control may be also considered a lateralized hemispheric brain function. To this aim, 15 young subjects were tested in standing position by measuring center of pressure (COP) shifts along the anteroposterior axis (COP-Y) during dynamic posturography before and after continuous Theta Burst Stimulation (cTBS) intervention applied to the dominant or non-dominant M1 hand area as well as to the vertex. We show that when subjects were expecting a forward platform translation, the COP-Y was positioned significantly backward or forward after dominant or non-dominant M1 stimulation, respectively. We postulate that cTBS applied on M1 may have disrupted the functional connectivity between intra- and interhemispheric areas implicated in the anticipatory control of postural stability. This study suggests a functional asymmetry between the two homologous primary motor areas, with the dominant hemisphere playing a critical role in the selection of the appropriate postural control strategy.